Graft details - 3200 FUHT graft procedure of which 1000 were placed in the crown and the remainder in the hairline. Dermit wanted to go for a particular hairline. He showed the reference picture to us before his procedure. All the pictures have been taken by the patient himself. You did a great job for him, how old is he? » You did a great job for him, how old is he? Nice but 3200 grafts is a lot for such a small area. » » You did a great job for him, how old is he? » Nice but 3200 grafts is a lot for such a small area. Of the 3200 grafts, 1000 grafts were transplanted into the crown swirl area. The hairline result you see is for 2200 grafts. » » » You did a great job for him, how old is he? » » Nice but 3200 grafts is a lot for such a small area. » area. 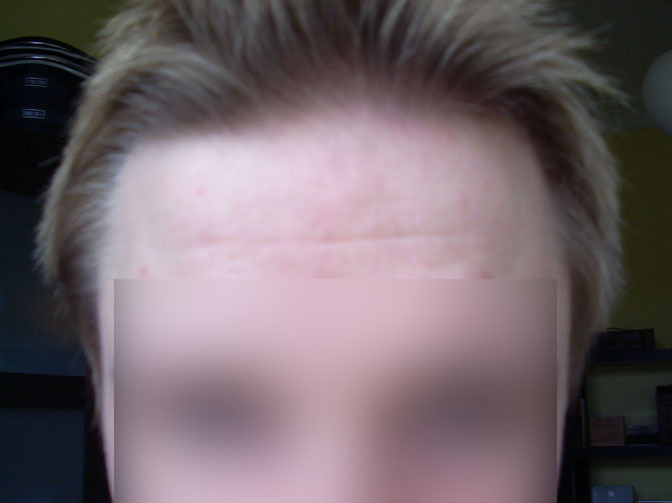 The hairline result you see is for 2200 grafts. can pictures of the crown be shown? id be interested to see the results.